Here is a reminder of how important finding our passion is and how it can make all the difference in our lives. A few posts ago I wrote about finding myself in a funk. I called that post ‘When it all goes wrong’. If you like it may help to go back and read it. In addition to the tools I used in that post one more powerful tool helped turn that day, and my life at that moment around – I wrote. Some people may think that writing a post five days a week, while working on my next book in addition to working at the post office and as a DJ may be a bit overwhelming. Nothing could be further from the truth. Discovering and subsequently sharing information on how to live a more positive, rewarding life is my passion. Seeing and hearing about the positive difference I can make in the lives of others is not what feeds my ego, it is what feeds my soul. I want to truly leave the world a better place than I found it. In short, it is my passion. So, the other day when I found myself feeling down as so many of us do, I wanted to share how I was feeling and what I was doing about it with all of you. Little did I know that doing so would make such a great difference in my own well-being. This I believe was accomplished for two reasons. I am going to share those two reasons with you and invite you to use them in your own life as well. First, when you find yourself overwhelmed with your own problems one of the best things to do is to try to help others with theirs. There is something very healing about altruism. It may help you realize someone always has it worse than you, or even that you are not alone in having problems. By sharing my struggles and allowing others to see that I still struggle and what I do to overcome that challenge I hope will be very helpful. Secondly, I was doing what I firmly believe I was put on earth to do. There is nothing that can compare to doing what your purpose is. When you do so time seems to disappear and so does your trouble. Whether your passion is painting, working on cars, being a great parent or anything else, living that passion is what truly brings us joy. I want to leave you with a poem that captures today’s thought perfectly. It is from the poet Rabindranath Tagore, who won the 1913 Nobel Prize for literature. Doing your duty, or passion will bring you joy. If you are not sure what your purpose in life is, I recommend you spend some time to discover that. There are tools both on this blog and in my book A Happy Life for Busy People to help you do this. The other night we tested our new equipment while DJing. I am still learning all of the buttons, knobs and controls. One of the controls that I have figured out is the button you see lit up in this picture. What this button does is mute whatever channel is operating. In this case happens to be my microphone. When you push the button and the red light comes on you cannot use that channel. In this case even if I had the microphone on and the volume all the way up you would not be able to hear me. That is beyond my regular projection. This would be about all to this post if this was a blog about being a DJ or sound equipment, but it is not. It is a blog about improving your life and steps you can take to do so. Sometimes improving our lives involves a mindset change. A different way of looking at things. Here is how these two items correlate. During the course of our show I spoke to two of my friends about negative people in their lives. One of them spoke to me about how they feel some people who perform rather well judge her. Certainly, we do everything at our shows to make sure the focus is on fun and enjoying yourself. A night out with friends should be just that. Personally I do my best to find something nice to say about everyone who performs. The goal of myself and my lovely lady Margie is to have people feeling better when they leave than when they came in. We do our best to make sure our shows our judgment free zones. You are welcome to come and perform no matter what your level of ability. We also encourage everyone to…well…encourage everyone. We hope people will think of our shows as much for the karaoke aspect as much as an opportunity to make new friends, have fun and be supported. The other touched on an aspect that we also work very hard to limit and do without at our shows – gossip. She informed me that is why she prefers to come to our shows verses some others she has been to. When you work at several local bars there is always some amount of “He said/she said” or “Did you hear what she said about her?” kind of thing. It can creep into the act of merely trying to put on a good show and I must confess can be frustrating when you try to deal with it. We are blessed that Margie and I have made it clear that we want nothing but positive vibes at our shows and that gossip is not welcome. For the most part we are fortunate that most people respect that as well. What does all of this have to do with a new mixer? Most of all the little red light and mute button pictured above? This is where it gets fun! Sometimes having a picture or analogy in your head can serve you quite well. In my case, when people around me start speaking negatively about someone, or gossiping in my head I push that button and the little red light comes on. In effect, I mute them. After which time no matter how much they tell me, or how loud they choose to tell me I simply can’t hear it. I shared this idea with the two ladies I spoke with and now I am sharing it with you. When someone comes to you with an earful of gossip, or some negative conversation I encourage you to simply push the mute button. Do not let any of that to even enter your mind. The good news that the mute button on the mixer, as well as the one in the mind can be pushed again, allowing them to be heard, provided the person stops with the negative input. Just like a poisonous plant will only grow if it has access to food and water, negative conversation will only grow if it has an audience. Sure, there will always be people willing to listen to such nonsense, just make sure people know you are not that person. Watch the joy in your life increase tremendously. I welcome any analogy or ideas you have for limiting negative people and their influence on your life. Please share with our readers in the comments below. I can assure you that there are a lot of people who are struggling to deal with this very topic. In the category of things that never made sense to me, but now have really changed the way I look at the world, I give you failure. Growing up with the guidance of well meaning people around me failure was a word that should attempt to be avoided. You didn’t want to fail because that meant you were no good. It meant you were not a success. As an adult I continued to look at failure in this light. It actually grew to be something I began to fear. I would do everything in my power to make sure I didn’t fail. That sadly included not trying things that were likely to end up in failure, at least at first. If we look at our lives there are certain things we are naturally good at. I can usually get up and speak or give a toast with little or no problem. If you see me on the dance floor however, something would appear seriously wrong. We naturally tend to pursue things that we have some basic skill in. For me writing and speaking are two of my more natural skills so I tend to do things that use those skills. Bartending and DJing use my speaking and relating skills. This website and my books use my writing skills (Notice I did not say grammar or editing skills). The reason we do this is our chance of failure is less likely and we naturally excel at them. This gives us a feeling of self confidence and accomplishment. That is great and I believe pursuing things you are passionate about will lead to great success. That being said, do not let fear of failure stand in your way from exploring new things. Once you learn a new skill as we showed above in can translate into several other options. Realizing this can make enduring the initial failure can be a little easier. Failure is not an end, but part of the journey. The quicker we do so, the quicker we can move on to developing our skills and becoming more proficient. Here is another little trick I find that works. If you can somehow use a skill you already have to learn a new skill it can make learning a lot less painful and a lot more fun. When I was learning how to become a DJ and my wonderful teacher, who happened to be the patient love of my life, was showing me all of the technical aspects (most of which I am still learning) I leaned heavily on the speaking part of the job because that is what I am naturally good at. It gave me a feeling of competence and a hope that I could one day be a great DJ like she is. Takeaway today is don’t fear failure, embrace it. 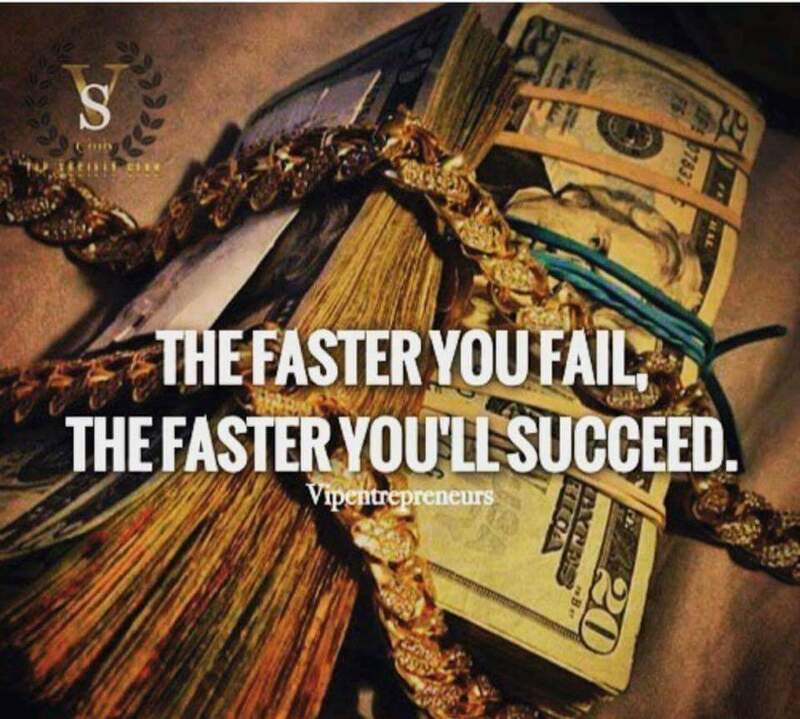 Do so quickly, because as soon as you get it out of the way you will be one step closer to success. Now if I could just find a way to link speaking and writing with dancing…. When i ask people about their question the response is almost always the same, “what question?”. Whether we realize it or not questions are what drive our actions. If you are not happy with your life situation, it is time to take a look at the questions you may be asking yourself consciously or not. One question we ask ourselves hundreds of times a day is “what does this mean?”. Now if you catch yourself thinking you don’t recall asking yourself this recently, I’ll let you in on a really good secret. This is exactly how we decide to feel. Here is an example. Let’s say you stand next to someone in line and suddenly they just get up and leave. What happened there? If it were me several options come to mind. Maybe they just remembered they had an appointment? Maybe they are uncomfortable with close social contact? Maybe I forgot to shower? What causes us to think of each option? By asking ourselves what could this mean? To some people a hug and a handshake are no different, to others it signifies something completely different. That all stems from what they decide what a hug means and what a handshake means. That can even change from person to person and further from situation to situation with the same person. Ok, so this all sounds complicated, but you can see how much can depend on the question we ask ourselves. Many times we are not even aware of this question. 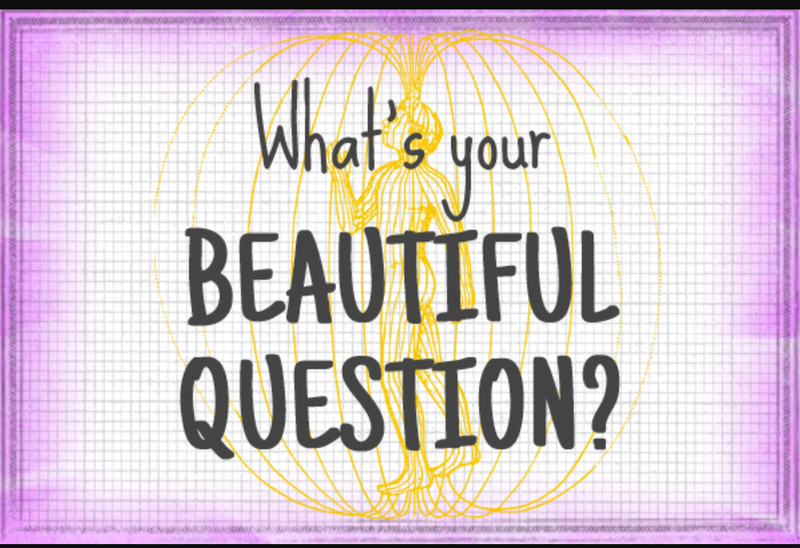 We are going to discuss two new ways to use questions to live a more positive, and yes a more amazing life. I promised you a second way to use questions, here it is. Everyday we begin our day with a question as well. Once again these may not be noticed by us, but I have heard several come from friends and family. Everything from “What is going to go wrong today?” “How am I going to make it through the day?” “How many hours until Friday?”. As you can see none of these are very empowering, and most are asked of ourselves unconsciously. Why not take control of this and put it to work for us? How do we do this? Decide on an empowering question, write it out and hang it where we will see it first thing in the morning. One of my new favorites I have heard is “How can I live today so that tomorrow will be even better?”. It doesn’t have to be that profound either. Something like “What awesome thing will happen today?” is a great way to begin the day. Ok, now you have 2 new ways to look at questions and an equal number of ways to use them. Feel free to share a few of your ideas for empowering questions in the comments below! Thank you and tell all your friends about secret2anamazinglife.com!